On the fourth Thursday in November each year, Americans gather for a day of feasting, football and family. 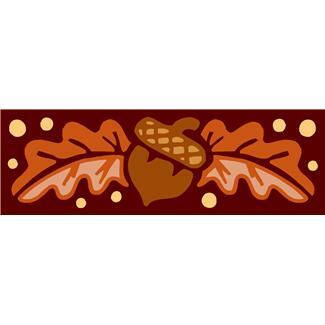 Although the annual event is held to pay homage to the pilgrims’ successful migration to the new world, today’s Thanksgiving dinner menus bear little resemblance to the original 1621 harvest meal prepared by colonists to share with local Indians. Turkeys were hard to come by and far smaller than domestic birds commercially sold today. Small birds were often spit-roasted. Some were boiled first, then roasted to finish them off. It is possible that fowls were stuffed, though with onions and herbs or chestnuts instead of bread. Now a Thanksgiving dinner staple, cranberries were actually used by Native Americans to treat arrow wounds and to dye clothes. Bread was made from maize instead of wheat. The remains of the day’s meals were thrown into a pot and boiled to make broth the next day. That broth was thickened with grain to make a pottage. So you could say the colonists invented the American leftover. 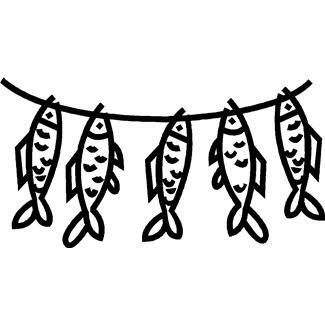 Seafood was a prominent part of the pilgrim diet…featuring eels and shellfish, like lobster, clams and mussels. A popular way to prepare seafood was to smoke it, for longevity. The Wampanoag Indians taught the Pilgrims how to cultivate the land to grow crops. 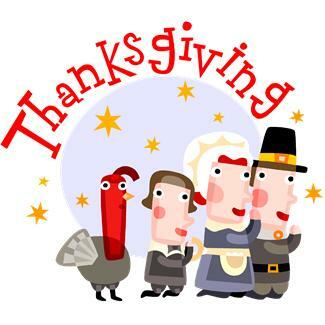 The pilgrims didn’t use forks; they ate with spoons, knives, and their fingers. 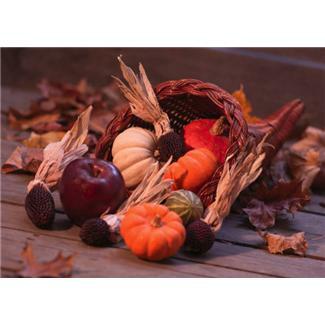 A modern Thanksgiving dinner typically includes turkey, stuffing, mashed potatoes, candied yams, cranberry sauce and pumpkin pie. But, according to com, to create a historically accurate feast, one would offer much slimmer pickings: wildfowl, corn (in grain form for bread or porridge), venison and possibly, popcorn. And that’s about it. National Geographic reports that first meal to have included: deer, corn, shellfish, and roasted meat. 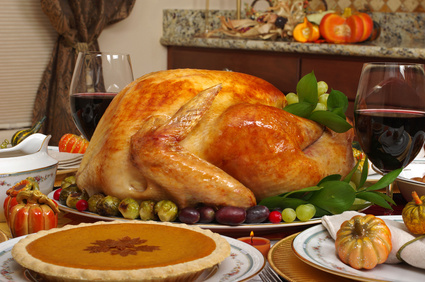 However you celebrate Thanksgiving, most people agree that the company and setting is far more important than the food. So why not consider gathering up your friends and family this year and heading up the mountain to celebrate in Lake Arrowhead? You can shop at one of the grocery or specialty stores once you arrive and cook an elaborate feast, prepare simple fare, or go out to a 5-star buffet. Anytime of the year, vacationing in Lake Arrowhead is fun and affordable. But during the autumn, when the leaves are putting on a spectacular show, you can’t improve on the beauty of the San Bernardino Mountains. Whether you’re looking to spend a single night of luxury with 20 of your closest friends with a gourmet kitchen or would prefer to stay in a modest cabin for several days, weeks or months, at Arrowhead Property Rental in Lake Arrowhead, California, we offer lodging to fit all tastes and budgets – for individuals, couples, families and groups — all at great prices, with unbelievable amenities. Check out the possibilities. Don’t delay. Book today. The good news is you need not go far if you’re looking for fall. Just head up the hill on Highway 18 or Hwy 330 and head to the #LakeArrowhead area. Admittedly, #vacationing in Lake Arrowhead is not like flying to the East Coast to see the changing of the leaves. 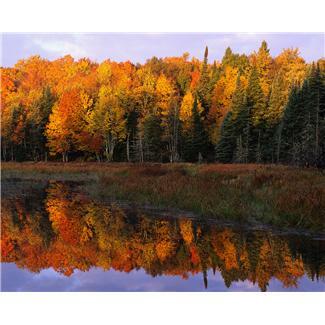 Nevertheless, our fall foliage is beautiful. 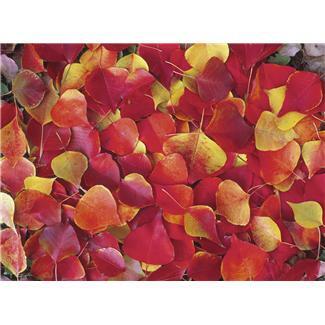 Each autumn, nature puts on a brilliant show of color in the San Bernardino Mountains that boasts bright yellows, warm oranges and vibrant reds. Unless you’re a scientist, you might not care about the technical reasons that leaves change colors. But if you appreciate beauty, don’t skip autumn in Lake Arrowhead. 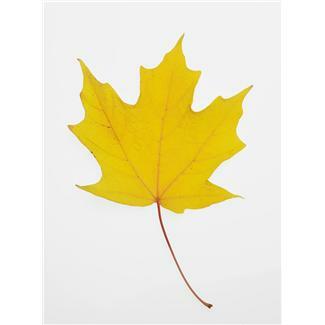 Anyone who lives in Southern California and wants to witness the changing of the leaves in New York has to drive cross country or fly from one coast to the other. This type of adventure is great, if you have the luxuries of time and money. 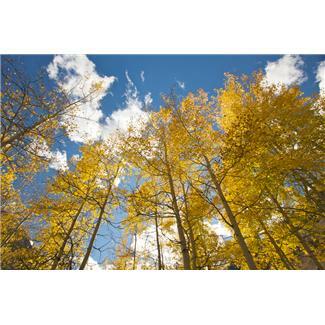 But if an affordable fall escape is what you seek, Lake Arrowhead will fill the bill. The Los Angeles Times writer Steve Caloca points to the California Fall Color Website, which describes Lake Arrowhead in autumn like this: “Enjoy a brightening of fall color around Lake Arrowhead. To book your vacation in Lake Arrowhead in virtually any type of property, look to the professionals at Arrowhead Property Rental. We will help you turn the time you have into a happy and memorable occasion. For your convenience, we are open seven days a week and are located in Lake Arrowhead Village on the upper level, overlooking the lake. Our experienced and knowledgeable team will guide you and anticipate your needs, whether you are vacationing or relocating to the area. Call today: (800) 244-5138 for special requests and dates or book online. 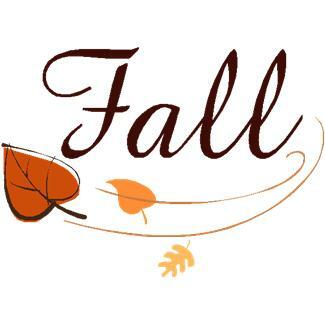 So now that the kids are back in school and colors have started to change in Lake Arrowhead, there are still lots of great things to do in and around Lake Arrowhead this fall. Located in sunny Southern California, Lake Arrowhead is warmer than mountain communities in other states. But we get to enjoy crisp, cool fall days and nights that invite a roaring fire in the family room and a cup of hot cocoa. So book a room, pack up the kids and head up the hill to enjoy the warm weather and festivities in the San Bernardino Mountains. Dog Festival on September 7. Three Dog Bakery (™) and The Lake Arrowhead Village Merchants Association proudly present the 2nd Annual Lake Arrowhead Dog Festival! This event will feature an exciting array of dog sport demonstrations, a police K-9 demonstration, the “Owner-Look-Alike” contest for attendees, vendor booths, and, of course, last year’s big hit, the Splash Dogs (™) dock jumping competition–and more! Date and Time: Sunday, September 7, 10am – 3pm / Splash Dogs (™) Competition 8am registration & practice. Home Tour sponsored by the Lake Arrowhead Areas Chamber of Commerce, and including tours of breathtakingly beautiful Lake Arrowhead homes on September 19 and 20. And if you don’t want to pay $90-$100 to see the inside of some houses, you could spend that money to stay in one of our beautiful rental properties. Porsche Timeline Always a top-notch display of beautifully preserved cars in Lake Arrowhead Village, this event is free to the public. Oktoberfest Which starts on September 27 and runs every weekend through October 26 from noon until 7 p.m. Saturdays and noon until 5 p.m. on Sundays. Join the party at Center Stage, where you can enjoy the Chicken Dance, contests, great food and authentic German entertainment. Halloween on October 31 with Trick or Treating in the Village from 2-5 p.m. and a Bostyx Concert where everyone is encouraged to come in costume. Santa’s Village, is also set to reopen in the fall. But even before the ribbon cutting, your kids can visit with Santa Clause in the Village, from November 29 (Black Friday) until December 24, on Center Stage. The Annual Fireman’s Bonfire is set for December 1 from 5:30-10 p.m. –always a fun community time. To book your vacation in Lake Arrowhead, let us take a crack at turning it into a happy and memorable time. For your convenience, we are open seven days a week and are located in Lake Arrowhead Village on the upper level, overlooking the lake. Our experienced and knowledgeable team will guide you and anticipate your needs, whether you are vacationing or relocating to the area. Call today: (800) 244-5138 for special requests and dates or book online. So you’re at work and wonder how you’ll be able to make it through the week. 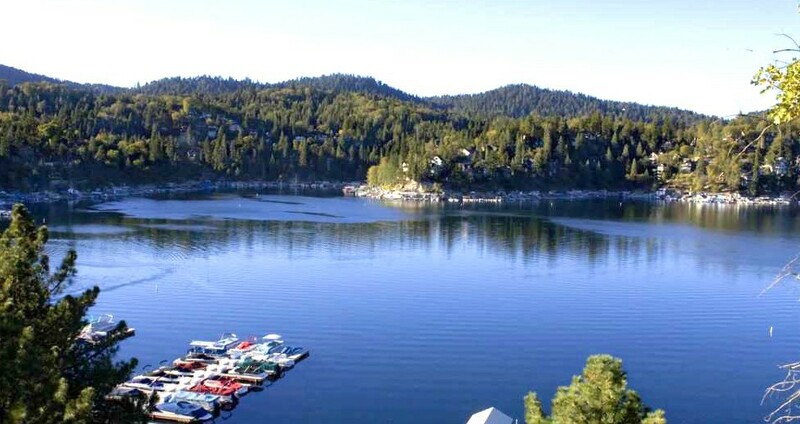 Here’s an idea: start planning a weekend getaway to Lake Arrowhead. Nestled in the beautiful San Bernardino Mountains, Lake Arrowhead is often referred to as the Swiss Alps of southern California. With breathtaking vistas, fresh air and plenty of shops, restaurants and wilderness activities, you won’t believe how quick the drive was—for a vacation that takes you a world away from the madness and stress of valley-life below. What’s more, Lake Arrowhead is a bargain for virtually any budget. Despite the fact Lake Arrowhead is private, there are lots of ways to enjoy the water. 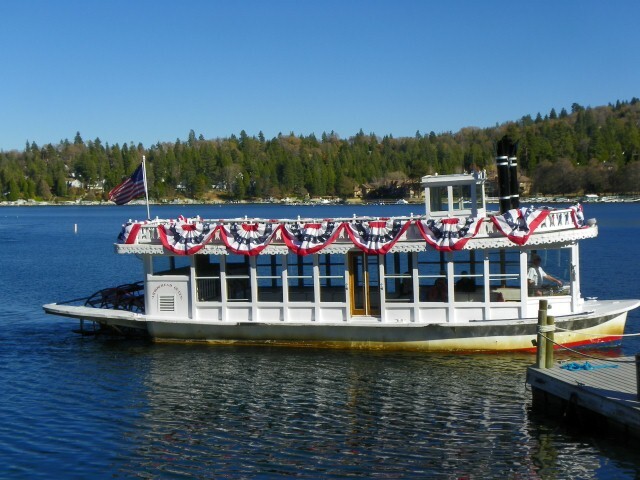 Get a front row view seat aboard the Lake Arrowhead Queen. Tickets are available in Lake Arrowhead Village. Wind, rain or shine, the Queen motors around the entire lake. So you and family or friends can relax in the wind-protected comfort or the open air on the top deck, while a knowledgeable tour guide shares local trivia. If large crowds aren’t your thing, you can enjoy the lake from a smaller vessel on a sunset charter offered by the McKenzie Water Ski School. 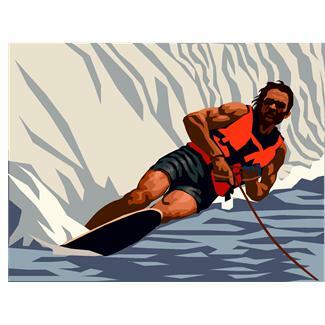 McKenzie also offers lots of water sport instruction from wakeboarding to waterskiing. 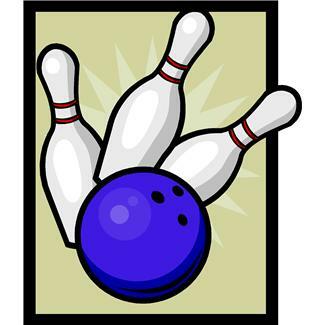 For fun, affordable family entertainment, head over to the all-new Rim Bowling & Entertainment Center located is located on Lake Drive, just minutes from Lake Arrowhead, in Crestline. Enjoy fishing in Lake Arrowhead if you are staying as a guest of someone who has a pass. Several of the available units through Arrowhead Property Rental have this option. So if you are interested in hiking around Lake Arrowhead or fishing for trout, Kokanee Salmon, Bass, Catfish, Crappie, Sunfish and Carp from a private dock, ask your agent for information about relevant properties. Enjoy the scenic beauty of the San Bernardino Mountains by hiking one of the myriad nature trails. If you secure an adventure pass, you will have access to lots of hiking trails—perfect for everyone from beginners to experienced trail blazers. Although fee waivers are currently being considered, for now, you need to buy a pass in order to enjoy the trails. 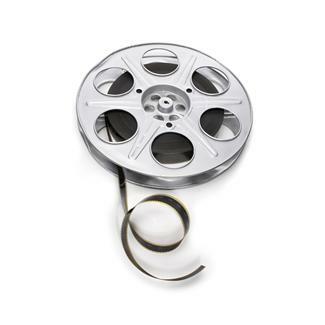 Rent a Red Box video at Stater Bros in Lake Arrowhead Village or see a show at the Blue Jay Cinema, which offers new releases. Summer mountain biking can be a great thrill in the San Bernardino National Forest. Several cycling trails are available, which provide anywhere from 1/3 of a mile to 18 miles, in various grades and elevations. With experienced instruction and safe equipment rentals, you can have fun on the water even if you don’t own property in Arrowhead Woods. Since Lake Arrowhead is private, you will be able to water ski if you take lessons or book through McKenzie Ski School, conveniently located in Lake Arrowhead Village. Air – Come up for a breath of fresh air. 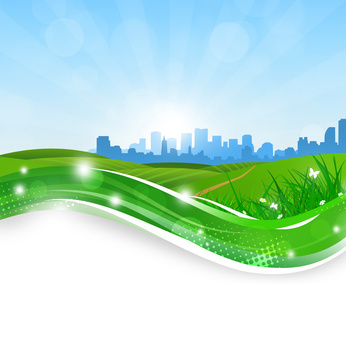 While smog levels choke the life out of Los Angelinos, you’ll find nothing but clear, clean air up here. The facts are undisputable. The air really is cleaner at 5,000 feet. Pollution makes breathing and exercising outdoors difficult, so outdoor activities are difficult in the summer in Southern California. In Lake Arrowhead, the air is fresh. So you’ll be able to avail yourself of great outdoor activities like hiking, swimming, walking trails, shopping, picnicking, and people-watching. Culture – Art shows and classes, wine tastings, free concerts, Friday Night Farmer’s Market, galleries, and specialty shops are just a sampling of the cultural events you and your family will enjoy while you’re on vacation in Lake Arrowhead. After a day at the beach, you will be able to stroll over to the Village to take in a free concert. Value – You’ll get more bang for your buck in Lake Arrowhead. You’ll be surprised at the great vacation values, most of which feature beautiful appointments such as fireplaces, breathtaking views and T&G cathedral ceilings. Whatever your budget, you’ll maximize your vacation dollars when you spend them in Lake Arrowhead. Recreation – From free concerts every weekend all summer long, to hiking trails, lake activities and more, Lake Arrowhead is a resort community where there is lots to do. Take a tour on the Arrowhead Queen or enjoy a boat ride or take wakeboard or waterskiing lessons at the McKenzie Ski School. Lake Arrowhead also has lots of great summer weekend activities to keep you entertained, such as the Antique & Wooden Boat Show; the New Boat Show; the First Annual Dog Festival; Emergency Preparedness Day; Fireworks on the Lake each 4th of July; the Beer, Wine & Art Fair; Cruisin’ the Village Classic Car & Motorcycle Show, Paint the Lake; the Home Tour; and the Porsche Timeline. Room to relax. If you’re used to life in the busy city below, you’ll be pleasantly surprised by how laid back it is in Lake Arrowhead. Come up for a breather—literally and figuratively. Leave your worries behind and embrace a place where there is room to stretch your legs. If you own full-time or vacation rental space in Lake Arrowhead or the surrounding areas, consider letting the licensed agents at Arrowhead Property Rental manage your property. If you’re in the market for a great place to vacation in Lake Arrowhead, let us take a crack at turning it into a happy and memorable time. For your convenience, we are open seven days a week and are located in Lake Arrowhead Village on the upper level, overlooking the lake. Our experienced and knowledgeable team will guide you and anticipate your needs, whether you are vacationing or relocating to the area. Call today: (800) 244-5138 for special requests and dates or book online. 1. Maximize your time: If you hire a rental agent to handle the day-to-day tasks associated with managing your income property, you will have more free time left to identify additional investment opportunities. Even if you are just starting out, renting a single vacation property, we’re convinced you will enjoy the passive income and wish to expand. 2. Marketing your property: An experienced rental agent will intuitively know exactly where to advertise your property as well as the method for creating compelling marketing materials. And since empty units don’t bring in income, filling vacancies quickly through effective ad campaigns equals money in your pocket. 3. Setting the rent: Don’t make the rookie mistake of looking to the classifieds to see what other landlords charge for similar properties. Although that may provide a ballpark figure, relying on it will likely leave money on the table or leave your property vacant far longer than necessary. Any agent worth his or her salt will conduct thorough market research before working with you to set a rental price that will provide a win-win for you and prospective tenants. 4. Finding perfect tenants: Why handle the headaches and the details inherent in tenant management? Don’t even let yourself be tempted to approve a tenant with a hard-done-to story, who could potentially bilk you out of timely rent or even eventually result in the need to evict. Experienced rental agents screen tenants for criminal backgrounds and security checks, run credit reports, verify employment and collect previous landlord references, all of which will keep your rental relationships strictly about business. 5. Handling money: Securing payment directly from clients can be difficult or even awkward. In contrast, an efficient billing system ensures timely payments without excuses. This type of collection is particularly important if you own a limited number of properties, or if you’re like most people these days—where cash flow is a concern. 6. Managing tenants: In addition to finding good tenants, a leasing agent will manage all aspects of the tenant-landlord relationship. This is particularly important for vacation rentals, when properties are occupied by so many people. Rental agencies will handle routine and emergency maintenance, which is especially necessary in Lake Arrowhead and the surrounding areas—where small, undetected issues like water leaks can morph into major headaches unless someone is in charge. Hiring a housekeeper is fine for cleaning-related issues. But most maids do not excel at property management, so shouldn’t be left to supervise maintenance on vacation properties. 7. Administer vendor relationships: If you own property, you’ll likely have a steady stream of maintenance workers, tradesmen, contractors, suppliers, and vendors through the doors of your rental. A good rental agent will make sure you get you the best work for the most competitive price, and oversee necessary repairs and improvements. 8. 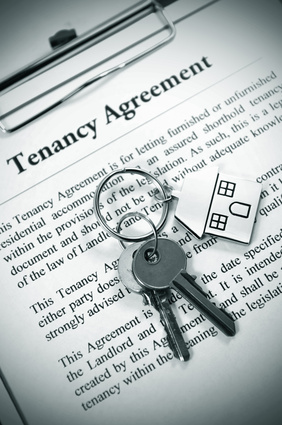 Oversee housing regulations and property laws: Are you aware of every applicable law and regulation associated with renting and maintaining rental property? The list is especially long in California. But wherever your property is located, you must be mindful of local, state and federal regulations, as well as fair housing laws. A rental agent will make sure your investment remains lawsuit and levy-free by making sure everything is in compliance. 9. 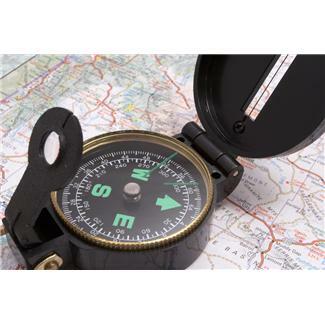 Live locally so you don’t have to: If you manage your own properties, your investment opportunities are limited to a very specific geographical location. 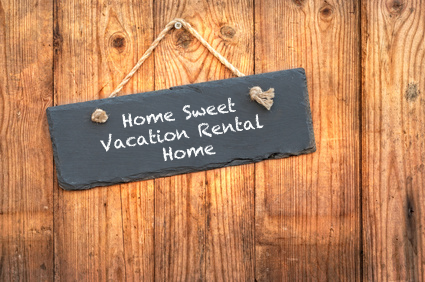 If you hire a rental agent, you won’t be tethered to your rental properties, so you will be able to take advantage of investment deals (and personal vacation days) wherever your heart desires. 10. Maximize your profit: Many rental agents charge a one-time sign-up fee along with a percentage of your property’s monthly rent. 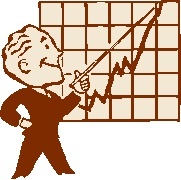 The rate runs anywhere from 6-10%, which means that property management pays for itself. 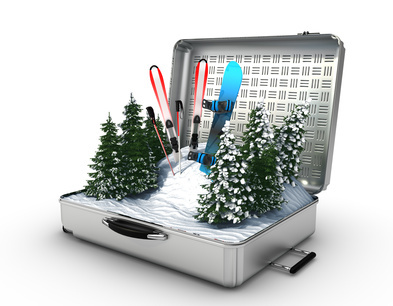 No matter where your destination, your vacation will be more enjoyable if you pay attention to what you pack. For instance, if you fail to plan ahead for conditions such as unexpected changes in weather and unforeseen circumstances, you won’t be able to relax. And you’ll end up spending money on sundries such as toiletries, appropriate clothing and/or medications, which will leave less for stuff like snacks and souvenirs. 1. Weather Check. Before you even choose your luggage, research the weather at your destination. If rain or snow is in the forecast, get a bag that will allow sufficient space for coats and cold-weather accessories. 2. Make lists. Checklists are great tools to keep you on task. 3. Plan each day in advance. This will help you decide how many pieces of clothing to take. A perfect pack-job will have you using every single item in your suitcase at least once. Challenge yourself not to over-pack. After all; you might be able to do laundry while you’re on vacation. 4. Put heavy, bulky items at the bottom of the case. This will protect delicate items and balance the weight of your bag. 5. Pack several lightweight layers. In fact—you might even consider rolling shirts and pants if you need space and aren’t worried about the weight. If you opt to fold, do so along the garment’s natural seam to keep clothing wrinkle-free. 6. Make the most of the space you have. If space is tight, use forgotten spaces inside your suitcase, like the inside of your shoe. Shoes are the perfect place to stuff socks. 7. A place for everything and everything in its place. Use folded T-shirts to separate and organize sections of your suitcase. 8. Leave room for souvenirs. This is particularly important if your trip involves air travel, where extra baggage typically incurs a hefty fee. 9. Pack fragile items in the center of your case. The more carefully you wrap fragile items, the more likely they are to arrive intact. 10. Keep it clean. Put shoes in a plastic bag. This way, after you wear them, you can put them away without risking damage to any other items. 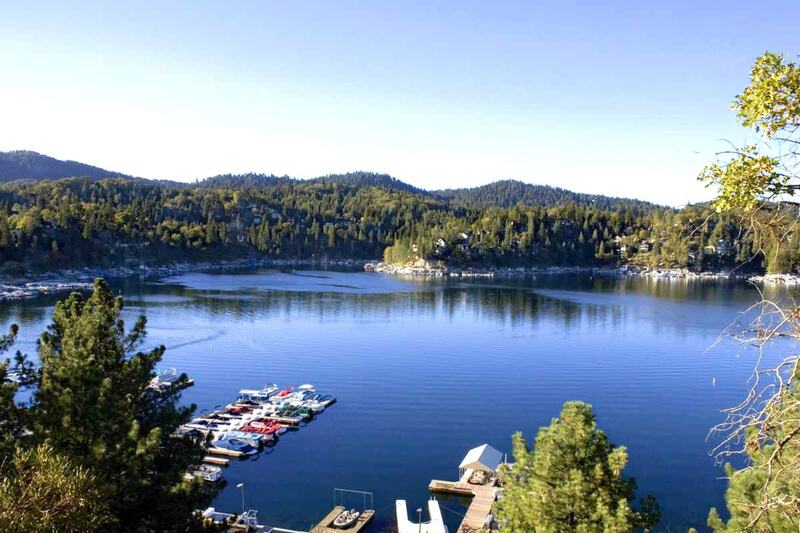 When you’re planning your next vacation getaway, consider booking a condo or house in beautiful Lake Arrowhead. Let the licensed agents at Arrowhead Property Rental help make your Lake Arrowhead vacation a happy and memorable one. For your convenience, we are open seven days a week and are located in Lake Arrowhead Village on the upper level, overlooking the lake. Our experienced and knowledgeable team will guide you and anticipate your needs, whether you are vacationing or relocating to the area. Call today: (800) 244-5138 for Special Requests and Dates or book online. This is just a sample of where the blog posts will be. We will include lots of photos and links and will tag it so it will generate SEO.